Start with a small group of zombies and search for people around. Catch them and convert them into zombies to expand your group. 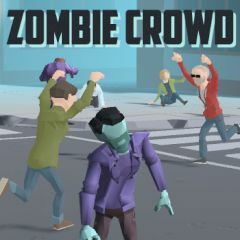 Get the biggest crowd possible and search for zombie crowds of other players. You must eliminate them and become the only group on the map. Can you dodge fights when you are weak?